Budget cuts, library closures, layoffs, what’s the good news? Well, in 2006 after Hurricane Katrina the American Library association was the first group to hold a conference in New Orleans. To this day, my friends and family who live there have made comments about how amazing librarians are for bringing some semblance of normality back to NOLA for just a brief weekend. As an organization we have made some great impact on the community of New Orleans. 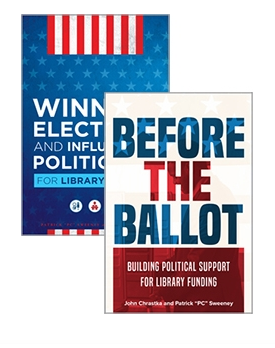 So, while most of the cleanup is done from Katrina, and much of cleanup is underway from the BP spill we can show our continued support for the residents of NOLA and hopefully they will see the need to support libraries and librarians like you. Andy Woodworth’s suggestion for creating your own t-shirts with facts about libraries is epic. You can buy a fabric pen and a T-shirt at any hobby store or even a Walmart or Target for next to nothing. 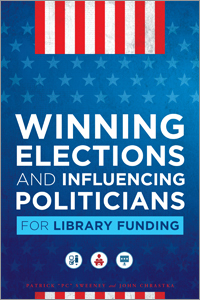 Just write a great fact about libraries and their support for communities across the United States. If you’re not a DIY kinda person, there are also many great shirts available online through stores like http://www.cafepress.com/Libraryadvocacy. Purchases from this store go to fund other library advocacy projects. If you know of other great online stores or good clothing/designs please post them below!! If you’re not familiar with a Freeze mob you can see many examples on youtube but here is another good one. This is an off the books kinda ALA event. ALA is not involved in the planning of this at all. This is a #MIH happen event brought to you by the ALA Think Tank. Facebook Event page to sign up! Don’t forget to tell you friends to come out too! Love this idea. I’m there. Now I just need a shirt. Check out the “Endangered Libraries” shirt from ALA Graphics (alastore.ala.org) which was developed at the suggestion of Andy Woodworth. This shirt, and others, will also be available at the ALA Store in NOLA. great idea, Pat! Freeze for all of us who won’t be able to make it to ALA this year!